We’d love your help. Let us know what’s wrong with this preview of A Boy Called Christmas by Matt Haig. A Boy Called Chri You are about to read the true story of Father Christmas. To ask other readers questions about A Boy Called Christmas, please sign up. Conor Nally It's one hundred per cent a children's book, but adults can enjoy it, too! One would say that it is not the right month to read this book. I say every month is the right month to read any book, especially this under-the-radar treasure that makes for a perfect (if somewhat long) bedtime story. Before he was Father Christmas, Nikolas was just a little boy whose mother died and whose father left on a quest to find proof elves exist, leaving him with his atrocious aunt that treats him like garbage. But Nikolas, the courageous boy that he is, will not stand still and wait for One would say that it is not the right month to read this book. But Nikolas, the courageous boy that he is, will not stand still and wait for his father to come back home, especially since it’s been months and it doesn’t seem like that will happen any time soon. Every middle grade story should be as well-crafted as this one. Not only did this author create a character to whom any human being can relate and who is worthy of anyone’s time, but he developed some important themes. It’s not only entertaining, it teaches you different lessons, one of them being that ‘‘we must never let fear be our guide,’’ or it will keep us from accomplishing all that we are capable of. I was actually surprised by how dark it got at times. There is talk of death at various moments, and some characters are quite creepy—and here I am referring mostly to you strange, blood-thirsty pixie that creeped me out quite a bit. The parts with the troll and the pixie weren’t memorable. Nikolas already has a large amount of elves wanting his head, so why add these two creatures? But they do offer help in their own way, so they’re not all bad, just rather silly and hard to take seriously, even if they genuinely were eager to kill Nikolas. Don’t wait until December 2018 to give this one a chance! You’ll see, it is quite surprising. Look at these sweet little kids talking about the book on Youtube! Okay, so I got this audio version through the BLOGGING FOR BOOKS program! Thank you! I very rarely listen to audio books any more because I just don't remember things and can't spell very well. I actually thought this was the hardback, BUT <--- I loved it because the narrator is STEPHEN FRY! 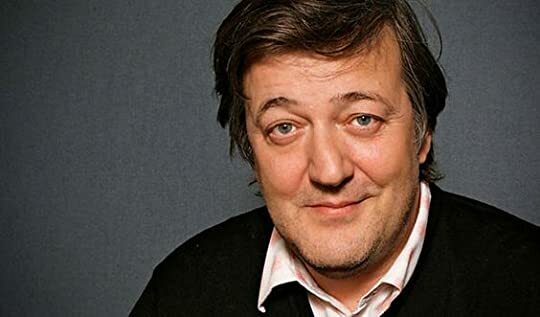 I love Stephen Fry and he narrates perfectly! I loved Nikolas and his story! It's funny and sad! The story talk Look at these sweet little kids talking about the book on Youtube! The story talks about what happened to Nikolas mother which I'm not going to tell you. And about his father being a woodcutter but taking off one day with a band of peeps to go find elves. He leaves Nikolas with his horrible aunt until one day Nikolas and his little mouse friend head out in search of his father. They run into a reindeer that is hurt and after fixing him up the reindeer joins their journey. And no, it's not Rudolph. I'm not telling you! When they finally get to Elfhelm they find out that things are not as they should be. 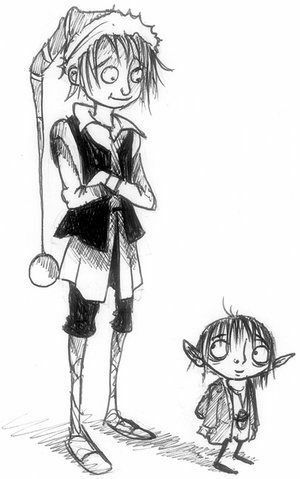 The elves are in a state, an elf child was stolen and some bad things are going on all around. Then eventually all good things start to happen (well not a couple of parts, but I digress) and the book finishes up with how Santa Claus became to be. I loved it, I loved it, I loved it! There are parts about going to the loo and poo that are quite funny. I just had to mention that! And...... because I saw how beautiful the pictures were when you look inside the book on Amazon AND looking at all the pictures on google, um...I went to Book Depository and bought the box set! The box set has the hard back of both "The Boy Called Christmas" and "The Girl Who Saved Christmas." The cover of that book looks awesome too. I really loved the story this author wrote and I'm excited to re-read the actual book. I will doing another review when I do! I leave you with some of the art work! Can you believe there was a time when no one in the world knew about him? A time when he was just an ordinary boy called Nikolas, living in the middle of nowhere, or the middle of Finland, doing nothing with magic except believing in it? A boy who knew very little about the world except the taste of mushroom soup, the feel of a cold north wind, and the stories he was told. And who only had a doll made out of a turnip to play with. But life was going to change for Nikolas, in ways he could never Can you believe there was a time when no one in the world knew about him? A time when he was just an ordinary boy called Nikolas, living in the middle of nowhere, or the middle of Finland, doing nothing with magic except believing in it? A boy who knew very little about the world except the taste of mushroom soup, the feel of a cold north wind, and the stories he was told. And who only had a doll made out of a turnip to play with. But life was going to change for Nikolas, in ways he could never have imagined. Things were going to happen to him. Good things. Bad things. But if you are one of those people who believe that some things are impossible, you should put this book down right away. It is most certainly not for you. Because this book is full of impossible things. Are you still reading this? Good. (Elves would be proud.) Then let us begin. I loved reading this so much that before I was halfway through I ordered copies for several people. A perfect Christmas story for any age, really. Filled with a magical adventure, reindeer, snow, elves, trolls and pixies, and oodles of charm. It’s not without some difficult situations which rather beautifully illustrate the theme that impossible is just an old elf swear word, and that if you truly believe in what you’ve set out to do, nothing is impossible. 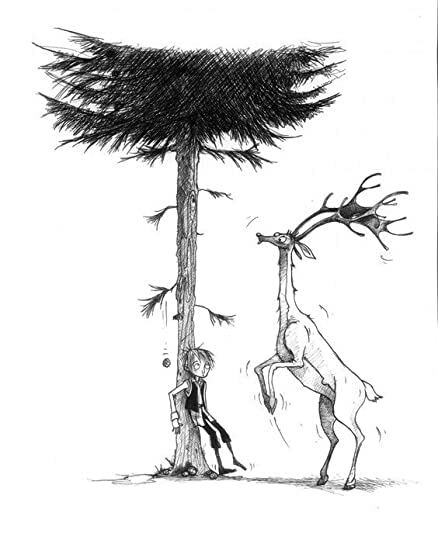 The illustrations, which are enchanting, really add to this story, and are perfect. Many thanks to Annet, whose review inspired me to read this. Great Xmas story, out of the box! The drawings are just beautiful and cute. All in the spirit of Xmas. My name is Father Christmas. When I was your age I was called Nikolas. There will be a lot of people in your life who will tell you to 'grow up'or to insist that you stop believing in MAGIC. Do NOT listen to these people. There IS magic in this world. ....Now, go and spread the word. Merry Christmas! Yours, F.C. He wrote the three bestselling books of the decade in Elfhelm, over twenty-seven copies each. 'How to be jolly: The Father Christmas Guide to Happiness', 'Sleighcraft for Dummies' and 'The Reindeer Whisperer'. I think this is such an amazing middle grade read that teaches you about good and bad, love and friendship, and the power of believing in yourself and believing in magic. What a perfect book to start 2018 with! (and yes, who cares that it's about Christmas?! Christmas books can be read all year round <3). I'm already so ready for Christmas 2018 haha! I reread it and loved it just as much! SO READY FOR CHRISTMAS! I wish I'd had this book when I was a kid. It's a fairly recent publication and yet it has all the qualities of a classic Christmas story. This book is great and one that both adults and kids can enjoy. In a nutshell: A lovely Christmas story that's perfect for all ages. This book made me feel like a kid again. That's definitely the biggest thing that's stuck out to me while I was reading, as well as thinking about it after. I believe that there's the potential for anyone to enjoy books principally aimed at kids, but most of the time I can't help but wish I had read these book when I was younger, since I would have loved them even more then. A Boy Called Christmas is definitely a book that I wo In a nutshell: A lovely Christmas story that's perfect for all ages. This book made me feel like a kid again. That's definitely the biggest thing that's stuck out to me while I was reading, as well as thinking about it after. I believe that there's the potential for anyone to enjoy books principally aimed at kids, but most of the time I can't help but wish I had read these book when I was younger, since I would have loved them even more then. 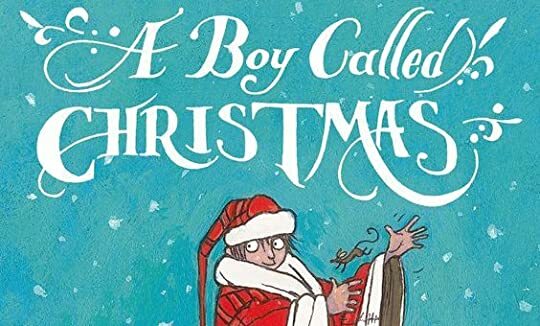 A Boy Called Christmas is definitely a book that I would have loved reading every Christmas as a child, along with A Christmas Carol. I'm also convinced that my mum would have had a blast reading it to me. (Funnily enough she read it herself before I did. She loves Christmas, so of course she loved this book.) Sadly this book didn't exist 10+ years ago but that's okay. Reading it was a lovely experience and at times, I think that my younger self and my fondness for this time of year came back. It doesn't even feel like Christmastime and I've been feeling quite down lately, but this book helped get me into the spirit and feel a bit better. It looks like I've found a new Christmas tradition: reading this book every December. I didn't know too much about this book going into it, other than the fact that it was related to Santa Claus. It's the story of a young boy's journey, featuring elves, magic, cheese-loving mice and reindeer. Nikolas is a very likeable character who I couldn't help but root for, and I also liked most of the side characters he met along the way. Not all of the characters were nice... and you'll know who I mean if you've read the book. 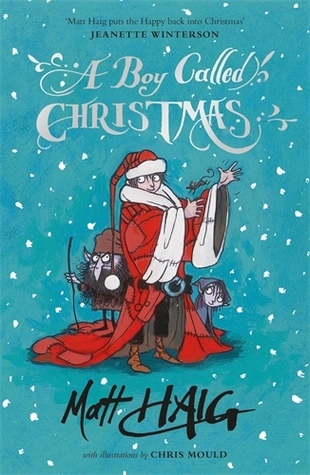 A Boy Called Christmas has its dark moments, but it's mostly a light and fun read with a lot of magic and heart. I always say in reviews that I rarely cry, and it takes even more to make me laugh or smile. I'm not really expressive in that way. Matt Haig has now managed to get tears, laughter and smiles from me with his books! As always, I'm impressed by his variation and what a talented storyteller he is. I'm pretty sure at this point that he could write almost anything and it would be glorious. It's an obviously different book to the last one I read by him - Reasons to Stay Alive - but it still resonated with me and made me feel better, though in a different way of course. Both inside and out, this book is really beautiful. 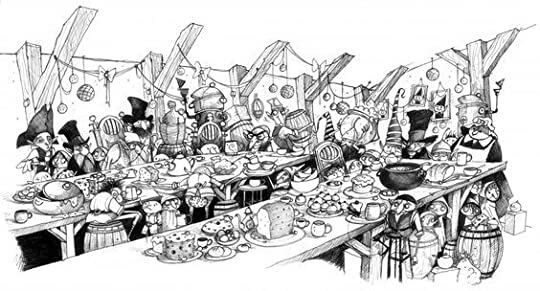 I've gained more of an appreciation for illustrations thanks to Brian Selznick and Jim Kay, and I loved the ones in A Boy Called Christmas. They complimented the story wonderfully, along with my imagination's perception of the story and characters. I'm really looking forward to reading his next story - A Girl Called Christmas - and seeing this wonderful story brought to life on the big screen. All the time I was reading, I could easily picture it in my head and I'm sure that it's going to be a lovely film as much as the book is lovely. I received a copy of this book from the publisher in exchange for an honest review. Thank you, Allen & Unwin! This is a full on Children's book and I absolutely loved it! 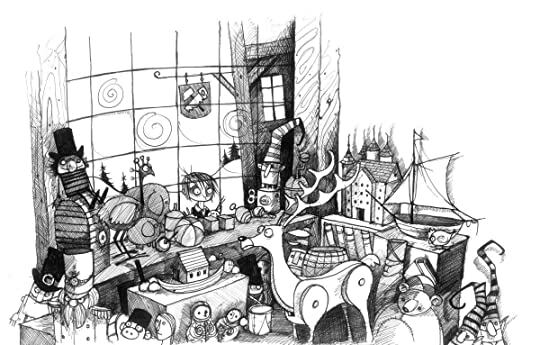 Also lovely illustrations to go with the story. Great Christmas read! O carte frumoasă ca o dorință pe care o așterni pe scrisoarea adresată Moșului. Nu este o capodoperă literară, în sensul că nu veți descoperi bijuterii stilistice, dar veți găsi FERICIRE. Și aromă de copilărie și de sărbătoare. Ah, și multă magie! ¡Me encantan los libros navideños y este ha sido una delicia! Os lo recomiendo a todos, grandes y pequeños, y creo que es un regalo ideal para dar a los peques de la casa el día de Navidad, porque lo iban a disfrutar muchísimo. Conocer la historia de Papá Noel de joven, como llegó a serlo y todo lo que le ocurre en el camino ha sido maravilloso y mágico. No sé, ha sido una lectura demasiado bonita y que pienso releer cada Navidad. No lo dejéis escapar, porque todo en esta historia es mágico y mara ¡Me encantan los libros navideños y este ha sido una delicia! Hey everyone! I've just read the most delightful holiday story and want to share it with you! I read this book to see if it would be a story I would enjoy sharing with my grandson in years to come, and the answer to that is a big YES! It may also find its way into some adult stockings as well next year, for those I know would enjoy it as much as I did. In my opinion it should take its rightful place among family holiday classics that we all know and love. This is the story of how our beloved Fat Hey everyone! I've just read the most delightful holiday story and want to share it with you! I read this book to see if it would be a story I would enjoy sharing with my grandson in years to come, and the answer to that is a big YES! It may also find its way into some adult stockings as well next year, for those I know would enjoy it as much as I did. In my opinion it should take its rightful place among family holiday classics that we all know and love. This is the story of how our beloved Father Christmas came to be. Nikolas is an eleven-year-old boy living in Finland whose nickname is 'Christmas' because he was born on Christmas Day. He is a poor motherless boy who lives with his woodcutter father in a tiny shack. One day his father is offered the opportunity to earn some big money and he goes off with six other men to find the land to the north where the elves live. Nikolas is left in the care of his aunt who treats him so badly that he decides to run off and look for his father. Did I mention the story is very humorous as well? And it has enough brave adventures, danger and bad guys to keep little boys interested. Can't wait to read Haig's next book The Girl Who Saved Christmas. 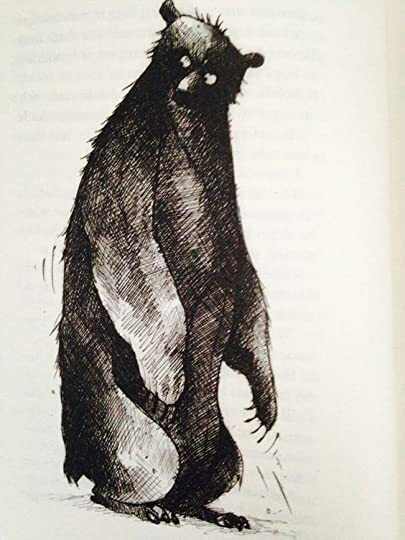 Kids will love the illustrations done by Chris Mould, which add so much to the enjoyment and fun of the story. Imagine seeing the front page of "The Daily Snow"--every elf's favorite newspaper, whose headline reads: "Father Christmas's Big Gamble." Delightful! Fun, sweet, touching, and a little bit silly. Perfect Christmas read, and one I know my boys will enjoy in the future! Um excelente livro de Natal e para ler no Natal. Esta história é sem dúvida um mimo. Tem toda a magia necessária para a época natalícia. Am trecut de vârsta la care aşteptam cu nerăbdare prima ninsoare, ca să fac îngeraşi de zăpadă şi să particip la competiţii de „bulgăreală”, prilej cu care aveam o scuză să-mi „lovesc” colegii. Nu mai cred în „magia sărbătorilor”, iar pe Moş Crăciun l-am cunoscut la o vârstă fragedă, când mi-am surprins părinţii aranjând cadourile sub brad. Sunt departe de „statutul” de Grinch, dar, involuntar, m-am trezit pe acel drum nesfârşit şi luminos numit „maturitate”; m-am folosit de această oportunitate pentru a spune mereu ceea ce gândesc, conştientă de faptul că persoanele care mă cunosc cu adevărat ştiu când sunt sarcastică sau pusă pe glume. Aşa, suficient despre mine, să revenim la scopul acestui articol. Am plănuit să citesc „Un băiat numit Crăciun” pe 24 decembrie, la „adăpostul” bradului, alături de o cană de ciocolată fierbinte şi de un soundtrack potrivit pe fundal (nu, nu mă refer la colinde, le evit cu eleganţă), curioasă în urma teasing-ului făcut de Laura Câlțea, coordonatoarea colecției, care ne promitea o lectură deosebită. Lista mea de „to-read” a fost atent pregătită pentru luna decembrie. Din păcate, nu am putut să o respect, astfel încât am sărit peste câteva titluri şi m-an reîntâlnit cu Matt Haig, pe care încă sunt supărată după „Umanii”, unul dintre cele mai interesante romane pe care le-am citit în 2016. Fără a-şi schimba stilul, ajustându-l unui public mai tânăr, Haig rămâne o voce uşor arogantă, pe fundal lecturii, îmbinând un umor negru şi „sănătos”, dureros de bine ancorat în realitate, cu o reinterpretare a unei legende clasice, pe care toţi am îndrăgit-o, indiferent de vârsta la care am aflat adevărul. There may be a more adulty review from me at some stage but I wouldn’t count on it as right now I’m a big kid again. A Boy Called Christmas is, as my son Harry put it upon finishing , “absolutely awesome”. I could probably leave it there. Harry is 8. He knows more than me on these things, I bow to his superior knowledge. But as it is a sort of review, I’ll expand a bit. Others have mentioned that it has its darker moments. (also There may be a more adulty review from me at some stage but I wouldn’t count on it as right now I’m a big kid again. What I’d like to say (apart from Matt Haig you TOTALLY rock) goes more towards my reading experience of it – this was very much a family affair, two tiny terrors, one often harassed looking mother, bedtime, a chapter or two. Read out loud, through much laughter (not always at the story, Harry’s sounding out of the occasional word he’s unsure of can end up changing the entire meaning of the universe) a lot of going back and reading bits again that we loved and eventually a hot chocolate and marshmallow finish. 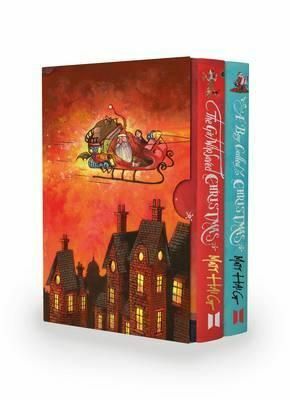 If you like reading with your children, if you like a story to read with them that will utterly engage them AND you (this is a book for kids of any age), that offers so much more than just a darn good yarn (want to know about Ho Ho Ho? Yeah you do..) then I would highly recommend this one. Its one that you know you can cope with the million and one times your children are going to want to hear it again. Or read it again themselves and shout about it. A classic in the making? Oh I would think so. I mean none of us will be around to be sure, so actually why the heck not confidentally say that this book will still be read in 100 years and loved by future generations. I believe it. On a slightly more serious note – this is truly excellent. In every way you can think of and then a few more ways on top of that too. The writing is great, the story is oh so terrific, an imaginative journey, a new take on an age old tale and as such is incredibly powerful. Back to the important stuff – I’m a bit (ok a lot) bah humbug. But occasionally the Christmas Spirit (the REAL one not the commercial rubbish or the endless pressure to conform and be GODARN HAPPY its that time of year) gets driven into my heart by something. This book did it. So theres that. Its ok…it’ll wear off. Which presumably means I’ll then have to read it again. Perhaps on my own this time. A great gift this Christmas. A beautiful looking book that does exactly what it says on the tin. This was so unbelievable and cute and magical! Love it! Such a cute and sweet Christmas story! The story of how Santa Claus actually became whom he is. Wonderfully written, a great novel for both children and adults during the magical time of the year. What a delightful audiobook to get right around Christmas. The story is classic feeling and has what I believe will have universal appeal. I loved the narration by Stephen Fry. It was perfect for the story. What a great story to celebrate the season and it is oozing with charm and emotion. I was so happy to find this audiobook on Blogging for Books and receive it in order to provide an honest review. This will be a new tradition in our house, listening to this over the week leading into Christma What a delightful audiobook to get right around Christmas. The story is classic feeling and has what I believe will have universal appeal. I loved the narration by Stephen Fry. It was perfect for the story. What a great story to celebrate the season and it is oozing with charm and emotion. This will be a new tradition in our house, listening to this over the week leading into Christmas. It is a wonderful story. A heart-warming, whimsical story of an 11-year old Finnish boy named Nikolas, who becomes Father Christmas through tragedy and triumph, supported by his two BFFs: Miika and Blitzen. With some magic thrown in for good measure. An impossibility is just a possibility you don't understand yet. Just reserved the next one in the series. Ich bin begeistert! Das absolut perfekte Weihnachtsbuch. Unglaublich gut. Absolutes Highlight. Der zauberhafte, lebendige Schreibstil mit viel Liebe zum Detail hat mich von Beginn an verzaubert und in die Geschichte eintauchen lassen. Die "absolut wahre Geschichte" des Weihnachtsmanns ist wirklich rührend. Es ist die Geschichte von Nikolas, einem traurigen aber liebenswerten Jungen, der von seinem Vater "Weihnacht" genannt wird. Wie er genug von seiner bösartigen Tante hat, sich auf die Suche na Ich bin begeistert! Das absolut perfekte Weihnachtsbuch. Unglaublich gut. Absolutes Highlight. Es ist die Geschichte von Nikolas, einem traurigen aber liebenswerten Jungen, der von seinem Vater "Weihnacht" genannt wird. Wie er genug von seiner bösartigen Tante hat, sich auf die Suche nach seinem Vater macht, das Wichteldorf findet und zum Weihnachtsmann wird. Auf seiner Abenteuerlichen Reise muss er viel durchmachen, gibt aber niemals auf und verliert nie die Hoffnung. Tykkäsin tosi paljon! Sopi todella hyvin luettavaksi hiukan ennen joulua, aivan upea kuvitus ja ihana tarina. Von Matt Haig hatte ich bisher ja nur "Ich und die Menschen" gelesen, das ich richtig gut fand. Wie sehr hab ich mich dann über diesen Buchtipp gefreut, denn als ich das Cover gesehen habe wars sofort um mich geschehen! So eine bezaubernde Gestaltung und sogar mit silbernem Glitzer, der sofort Weihnachtsstimmung aufkommen lässt. Aber auch innen ist es mit total süßen schwarz-weiß Bildern illustriert, die die ganze Geschichte wunderschön unterstreichen. Der Einstieg ist gerade für Kinder gelungen, denn Matt Haig spricht den Leser direkt an und vermittelt ein Gefühl für den Zauber, das Unmögliche möglich zu machen. Die Geschichte um Nikolas ist ein bisschen traurig, denn der 11jährige lebt alleine mit seinem Vater Joel, einem Holzfäller, in Finnland. Sie haben zwar sehr wenig Geld, aber auch wenn es nie für etwas besonderes reicht und erst recht nicht für Weihnachtsgeschenke, ist Nikolas glücklich. Sein Vater erzählt ihm zum Einschlafen immer Geschichten, die sich hauptsächlich um die Wichtel drehen - jene geheimnisvollen Wesen, die irgendwo weiter im Norden leben sollen. "Ich habe sie zwar nie gesehen", sagte sein Vater aufrichtig, "aber ich glaube an sie. Doch das Glück wendet sich und Nikolas muss Schreckliches durchmachen - trotzdem schafft es der Autor, immer wieder den Mut und die Hoffnung durchschimmern zu lassen, die den Jungen antreiben, sein Glück selbst in die Hand zu nehmen. Selbst mit der schrecklichen Tante Carlotta. "Tante Carlotta tut mir leid", flüsterte Nikolas. Er ist oft traurig, aber er versucht immer sein bestes und gibt nicht auf. Sein Mitgefühl und sein Bedürfnis gutes zu tun zahlt sich aber immer mehr aus, denn er findet Freunde, wo er sie nicht vermutet hätte und bekommt Hilfe, wo er sie nicht erwartet hat. Die Wichtel spielen dabei natürlich eine große Rolle, aber auch eine Wahrheitsfee, eine Entführung und schließlich die Hoffnung, einen Wunsch in Erfüllung gehen zu lassen, wenn man nur fest daran glaubt. Bis Nikolas schließlich seine Bestimmung findet ist es ein weiter Weg und es hat sehr viel Spaß gemacht zu verfolgen, wie aus ihm schließlich doch noch der Weihnachtsmann geworden ist, denn einige skurrile Details lockern das ganze immer wieder auf. Die vielen kleinen Symbole die man seit Kindertagen mit "dem Weihnachtsmann" verbindet hat Matt Haig wunderbar in die Geschichte mit eingebunden und zeigt wie wichtig es ist, immer an das Gute im Herzen zu glauben. ist es ein Wunder. Güte schenkt den Menschen Hoffnung. Nikolas passiert wirklich viel Schlimmes und er begegnet Menschen und Wesen, die nichts gutes im Sinn haben. Aber der Autor zeigt hier auch auf, dass man sich ändern kann, das man Fehler machen und sie wieder gut machen kann. Manches davon fällt mir als Erwachsene etwas schwer einzuschätzen, wie diese Situationen auf Kinder wirken. Aber oft kommt es uns ja viel schlimmer vor, da wir unsere Erfahrungen damit schon gemacht haben - für junge Menschen ist das oft alles lang nicht so tiefgründig, wie wir das empfinden. Insgesamt auf jeden Fall ein wunderschönes Buch zum Einstimmen auf die Weihnachtszeit - egal ob für jung oder alt. Und die Botschaft ist klar: Herzensgüte ist das was zählt; und zwar gegenüber jedem, dem wir begegnen. Utterly charming story for young readers (or for a great read aloud) about the Boy Who Would Be Santa Claus. As you all know, I'm always on the lookout for Christmas books, and was very pleased to have an advance copy of this sent to me. I liked the whimsical tone (too often Christmas stories get very heavy, or even creepy), and the very interesting mythology of this one. Also, I would like to have a gingerbread room. 1. Comer mais biscoitos de gengibre, chocolates, compotas e bolos. 2. Dizer a palavra Natal. 3. Dar um presente a alguém: um brinquedo, um livro, uma palavra simpática ou um abraço apertado. 5. Recordar um momento feliz ou imaginar um futuro feliz.